Throughout the day, GPs from the platform and the floor expanded on this theme with passion and anger. The existing three-year cycle of commissioning was destructive, it was agreed, and was damaging continuity of care. Delegates shared their stories of how well-functioning services had been retendered and lost to a cheaper bidder, with quality of care sacrificed in the race to slash budgets. The government’s drug strategy has long moved away from harm reduction, OST and choices, and the ‘destruction of drug services’ through dramatically reduced funding and constant retendering has increased the risk level for those on the bottom rung of this ‘unequal society’, he said. The ACMD had recommended that access to allied healthcare and other services was important in promoting recovery from problematic drug use and reducing premature deaths. But local authorities often dealt with cuts by recommissioning in three-year cycles, which was ‘bad for all, with dips in services and quality, damage to continuity for individuals and arbitrary changes in prescribing,’ said Willott. 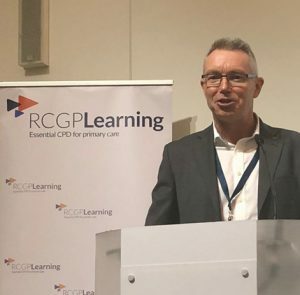 Throughout the day delegates were invited to share their experiences, and a picture soon emerged of (as one GP commented) ‘primary care being hammered so badly that there will be no capacity to re-engage’. Agreeing that commissioning cycles should be at least five years, the conference called for a change in practice – to ‘recommission services only if the service is failing, after support to change the service has been tried’. As a GP, I ran a local enhanced service for patients with a drug problem in my practice for about 14 years. Now LESs have gone, a new agency is commissioned by the council to provide treatment to my patients, and they use my service to deliver the treatment. Continuity is key in providing an effective service, particularly to this group of patients, but the contract has been transferred every three years – so we’re now on our third agency in four years. Each time the contract is put out to tender the budget is slashed. Each agency has completely different ways of working, staff, protocols, markers of success, referral and assessment forms, and ways of communicating. We had a reliable, stable support worker with the previous agency and had just managed to set up a support group at the local youth centre. All this was lost in January of this year when the new service took over. We’ve had three different workers and more than six months with no worker at all, when I was left trying to plug the gap myself. 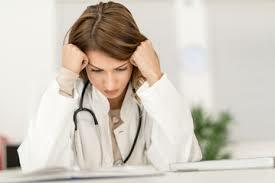 My patients are thoroughly fed up with the changes and the poor reliability and continuity of the service. The budget means staff are spread thinly, there is poor morale, retainment is low, and sickness among workers is high. Patients have come for appointments and not been told the worker is not coming. They have told their stories of past trauma and then not seen workers again – so why should they bother coming to appointments? I can provide continuity but I don’t have the time to provide all the support that is needed. It should be so much more than a script. I’m relieved to say we haven’t had any drug-related deaths among our patients since our service started 14 years ago – but it is requiring so much more time and effort from me to fill in the gaps and keep the service safe. I could not sell this type of work to other GPs with things as they are. Previously I would say how rewarding it was, and how good it was to work as part of a team. 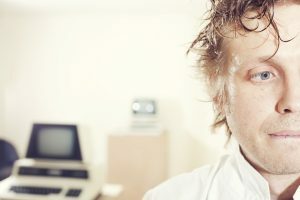 It’s now stressful for all the wrong reasons, that have nothing to do with the patients. We’ve run a GP practice with additional PMS [personal medical services] funding for socially excluded patients since 2001, but without any increase since about 2005. Some of our patients have lives that might make an ‘accidental overdose’ welcome, but a treatment environment has developed which I feel has made that option more attractive. hin three months of starting a programme to take the least stable and more complex of our patients out of shared care because they were unsuitable for it, we had two heroin overdose deaths – and we’d previously had none for years. One was a woman with whom we had had a warm and close relationship and had supported through many ups and downs. She had learning difficulties and was on a high dose of oral methadone and ‘injecting on top’. The other was a man whom we had managed to support successfully, but on transfer he disengaged from treatment as he did not want to lose his relationship with us or be managed under their policies, and he too was soon dead. need to be able to opt to stay with the person or agency they trust, or at least have any transition dealt with very sensitively. I’m not attributing blame, but I would like to see more compassion and contrition. My concerned email to the local service was copied to the commissioner, but so far it has gone no further and I feel that the episode has been quietly kicked into the long grass. These patients are casualties of a climate which puts a positive spin on what has happened in substance misuse management in recent years, but which is in fact deeply sad and bad for many. 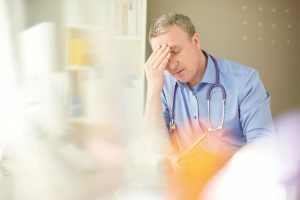 I have lost trust in the system – the same as many of my patients did very early in their lives. I was a GP with a special interest (GPwSI) in substance misuse for around ten years, providing a clinic from my surgery to local and neighbouring practices. When substance misuse services were transferred from the NHS to local authority control in 2013, the service was put out to tender. The existing service was based on GP patient lists, but the new service was based on local authority bound­ar­ies. As we were a mile from the county border, quite a few of our patients could no longer be treated. We used to carry out services in a well-equipped, centrally located, modern medical centre. We provided nine hours a week of doctor time spread over two days, with flexibility to see patients outside the scheduled clinic times every day of the week. Patients could collect scripts and provide urine specimens from 8am to 6.30pm, Monday to Friday, and access urgent medical advice or discuss issues with pharmacists. Medical reviews were set as needed, from weekly to every six weeks. The new service was set up in a church hall with no medical facilities, on the far edge of the geographical patch, and many drug users did not attend as they couldn’t afford the bus fare. Three hours of doctor time were provided one after­noon a week, and there was no easy access to medical support outside this time. Staff had their own problems to worry about – the TUPE’d drug workers were very demoralised as some had needed to reapply for their jobs three times in two years. I have spoken to patients who have not received a medical review or given a urine screen for more than a year, and have been unable to obtain a change to their OST for over two months. I would frequently treat people’s medical problems when they attended the substance misuse clinic – mainly mental health issues, infections (especially chest), groin abscesses, DVT etc. After the change in service, patients stopped attending for medical problems and turned up in A&E. In the ten years that we ran the service, one patient died. In the 18 months after the service ended, before I retired, three patients died – although one of these was probably not drug related. GPs preferred the old system, patients preferred the old system, drug workers preferred the old system – but the new system is cheaper.